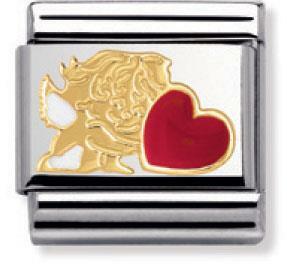 Crafted with Love for that special someone, the perfect enamel charm for your loved ones bracelet. A red enamel Love heart is protected by the 18ct gold cupid.. Designed to fit all Classic Composable bracelets. Please quote code 030253-26 when enquiring about this charm.